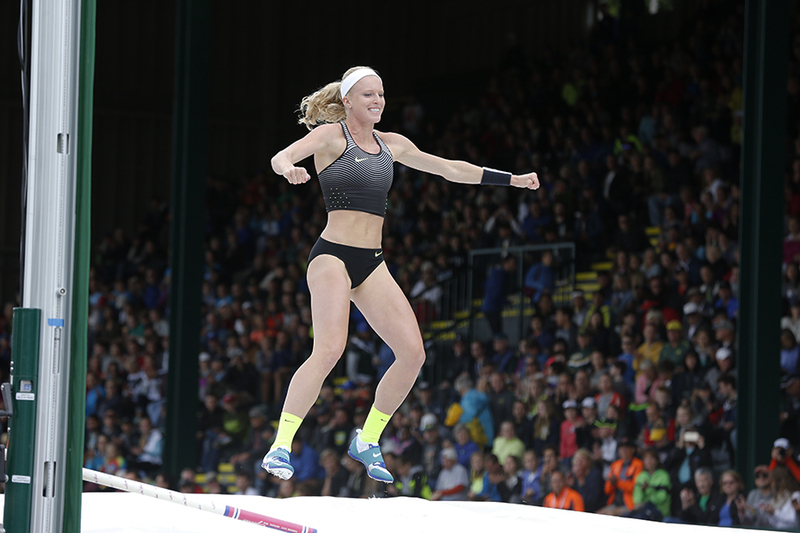 Coming off a phenomenal Olympic debut Sandi Morris has risen to new heights in the women's pole vault, setting a new American outdoor record at the Memorial Van Damme Diamond League meeting in Brussels. 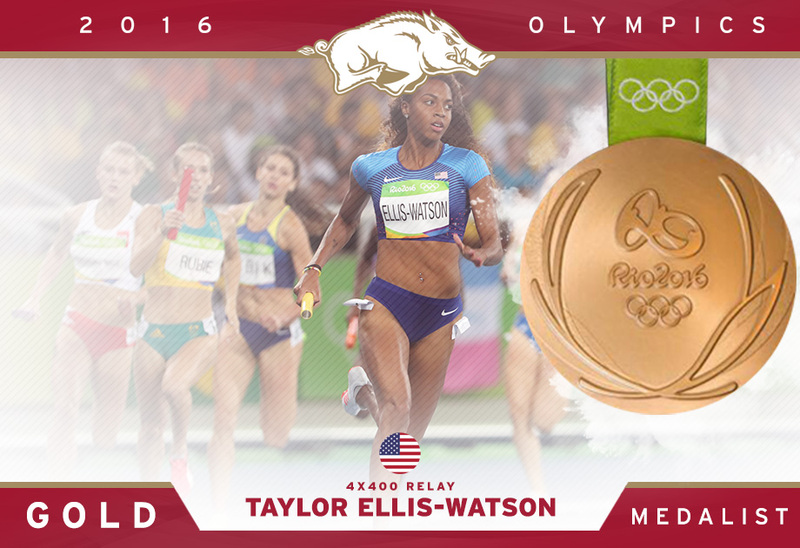 Former Razorback Taylor Ellis-Watson may not have raced the finals but leaves Rio de Janeiro with her head held high as an Olympic champion and member of Team USA’s 4-x-400-meter relay pool. 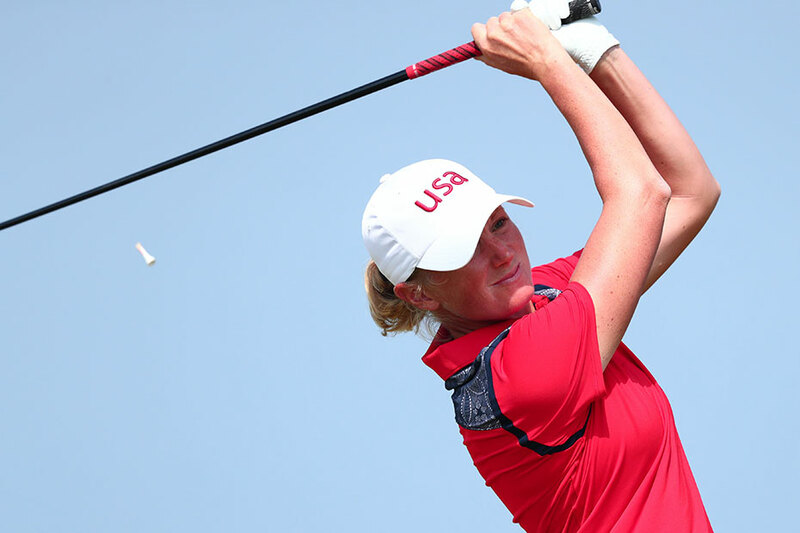 Former Razorbacks Stacy Lewis and Gabriela Lopez wrap up their Olympic experiences Saturday. 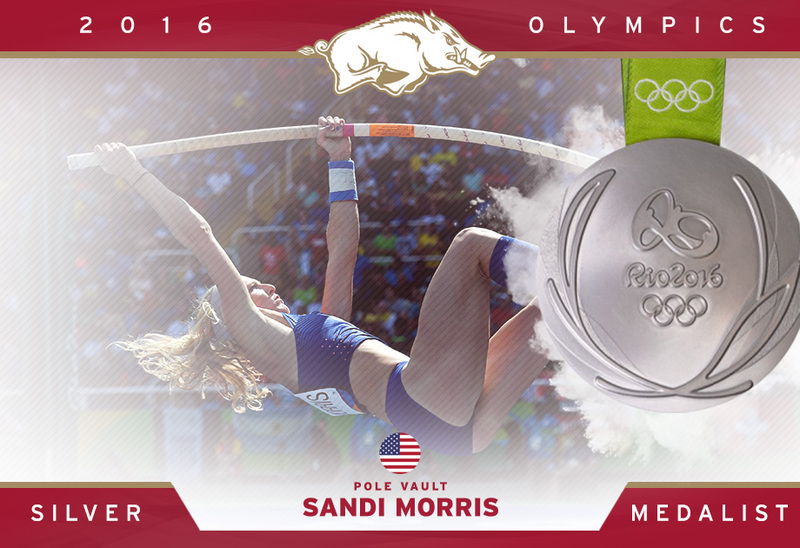 Arkansas track and field increased its medal count by two as former Razorbacks Veronica Campbell-Brown (400 relay) and Sandi Morris (pole vault) each secured a silver medal in their respective events. 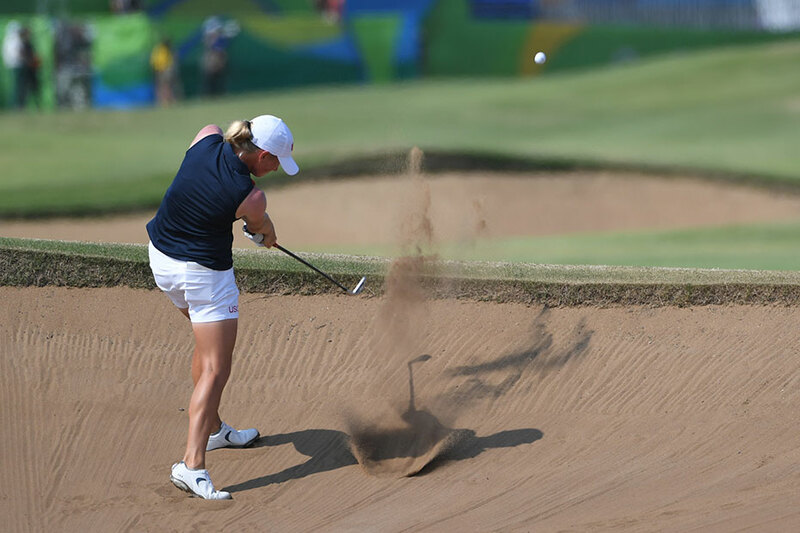 Swirling, gusty winds see scores go high in round three of the Olympic Games in Rio on Friday. 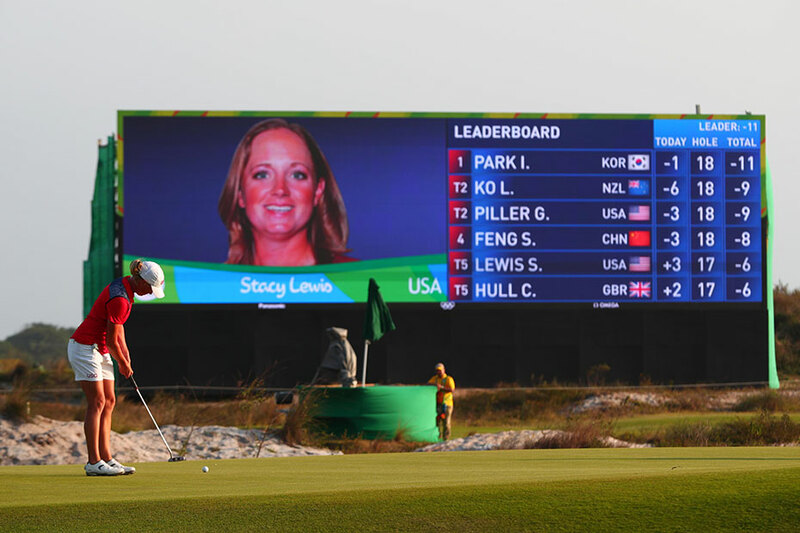 Former University of Arkansas All-American Stacy Lewis set a modern Olympic Games record with 11 birdies moving into second place in the second round at the Olympic Golf Course on Thursday. 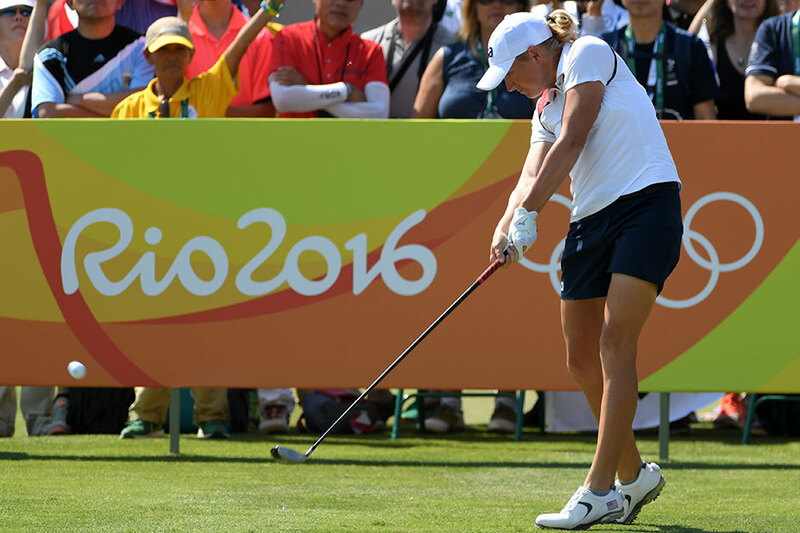 Stacy Lewis and Gabriela Lopez wrap up round one at the 2016 Rio Olympic Games.